This antenna is great for the marine band and is highly recommended if you are looking for a general purpose VHF public safety band scanner antenna. It is tuned for the middle of the public safety frequency allocation and its broadband receive characteristics and low noise floor will help you pick up transmissions you would have never heard before with a standard scanner antenna. I’ve sold quite a few J-Pole antennas for marine band operation. They are an excellent choice as the J-Pole is a half wave antenna that has a donut shaped radiation pattern. Most of the RF energy is concentrated at and slightly above the horizon. This makes it a great choice for marine applications where you need excellent coverage at the horizon. 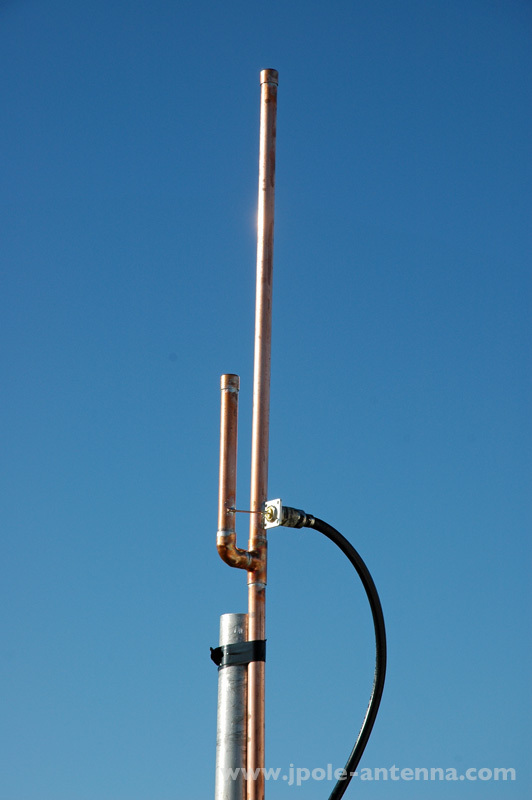 If you are planning to use this antenna near a salt water environment, I recommend painting the antenna with either clear lacquer or non-metallic spray enamel paint. The antenna also works great for search and rescue teams and volunteer firefighters that have a base radio tuned to the upper end of the public safety band. This antenna is tuned for the 155-159 Mhz VHF Band. It covers the marine band, VHF public safety and land-mobile radio frequencies on the upper end of the 150 MHz allocation. 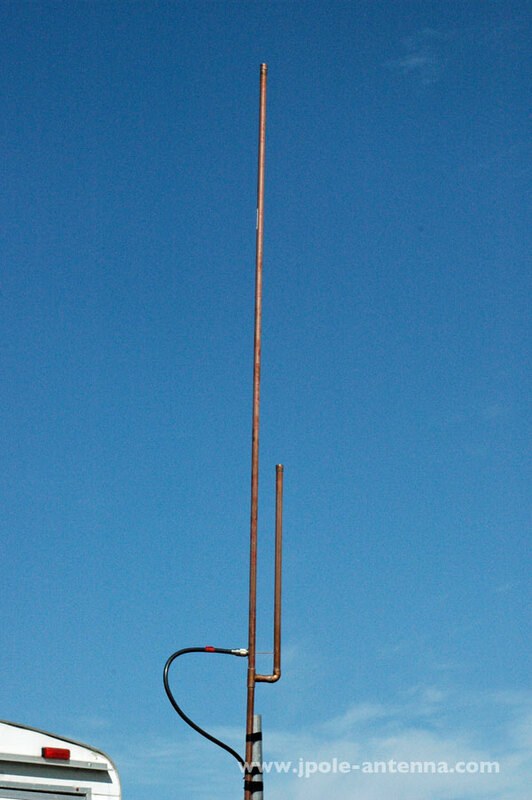 Overall length of the antenna is 64 inches with an 11 inch mounting stub. SO-239 connector is soldered on at the point of lowest SWR. I tested [your J-Pole marine antenna] against the Shakespeare with both of the marine VHF radios I have here at home. Without a doubt, your J-pole has an improved receive over the Shakespeare on both radios. That’s the feature I was hoping for. And I do believe it to be a little quieter as well. Thank you for a great product. I will happily recommend your J-pole to my fishing friends. Be the first to review “Marine 155 – 159 MHz Land-Mobile and Scanner J-Pole Antenna” Click here to cancel reply.